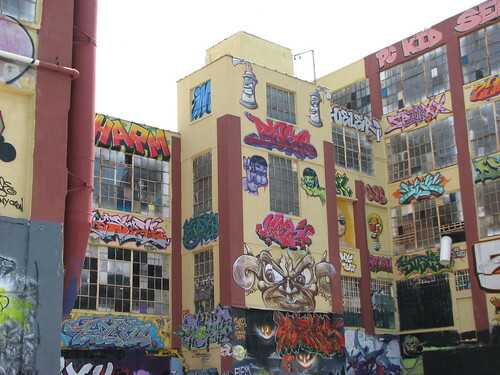 The 5Pointz Aerosol Art Center lovingly called The Institute of Higher Burnin' is an outdoor art gallery in Long Island City, Queens, New York, where graffiti artists from all over the World come and paint on the outer walls of a large (19,000 sq. metre - 2200,000 sq. foot, five storey high, old warehouse complex. 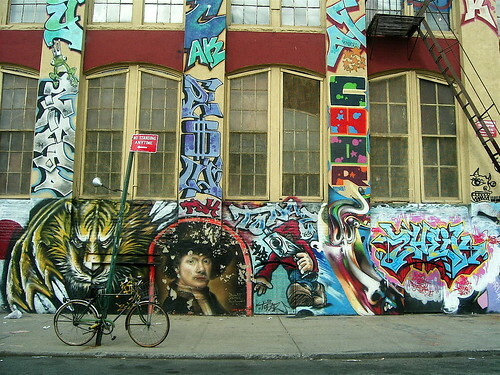 In 1993 one, Pat DiLillo, came up with a brilliant idea of providing dedicated walls to the aerosol artists so as to discourage graffiti vandalism. 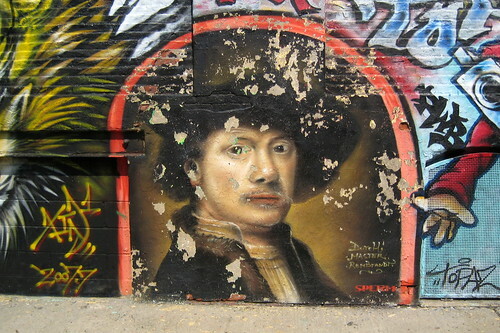 Soon its walls became very popular and in 2002 Jonathan Cohen, a graffiti artist under the signature of "Meres One " starting overseeing the work and became the curator of this open air out door gallery. 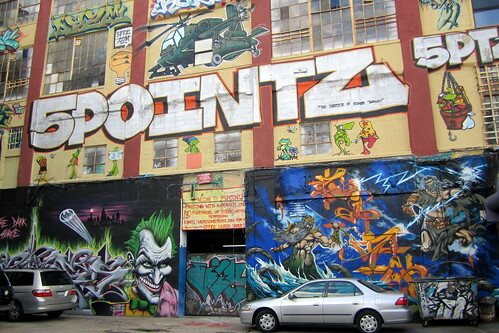 The name 5Pointz signifies convergence of five boroughs of New York, namely; Manhattan, Brooklyn, Queens, The Bronx and Staten Island. 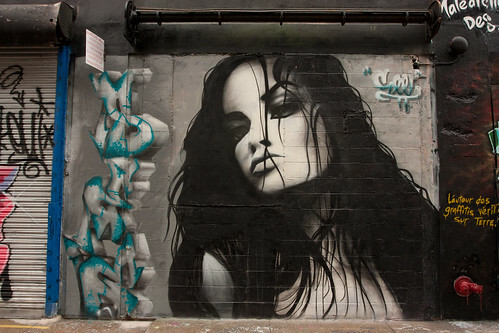 Its reputation is now world wide and besides artists from USA, artists from many countries have painted on its walls. 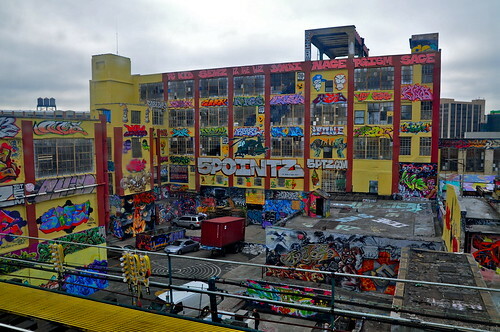 Unfortunately the owner of the property now wants to demolish this Graffiti Mecca (New York Times). However many art lovers have joined hands to oppose his move. 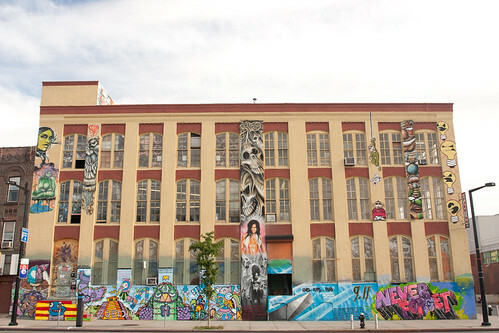 Its curator wants to convert the complex into a graffiti museum and to also house a school for aspiring aerosol artists. An online e-petition to save this huge work of public art has also been floated. 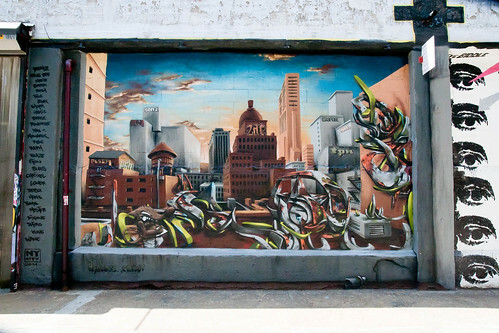 Some more fantastic collection of graffiti can be seen along the two side of the building using Google Street View. The building can also be seen in Google Earth 3-D view by enabling the 3-D layer.